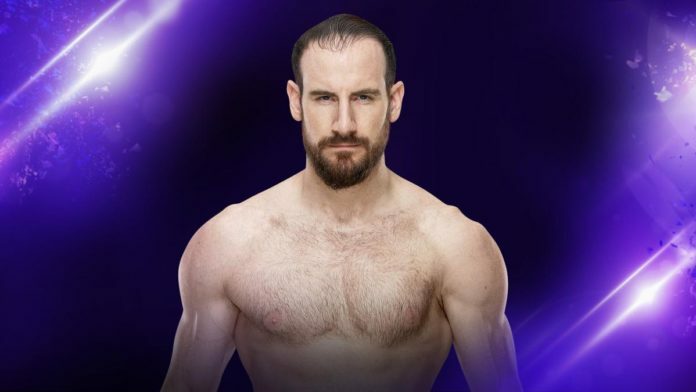 Aiden English has been added to the 205 Live commentary team. WWE has confirmed English will provide guest commentary for the cruiserweight division through WrestleMania season. He will still be listed as an active Superstar on Smackdown, however. Aiden English commented on social media and dubbed himself the best ‘mic man’ and most underrated act in the company. Best mic man in WWE? ?? Most underrated athlete in the company? ?? Created the most popular act of 2018??? Michael Cole added his thoughts as well. “We’ve been working with Aiden at the WWE Performance Center to see if he has the chops, and it turns out he’s pretty good,” said Cole. The 31-year-old English hasn’t appeared on an episode of Smackdown since losing to Rusev on October 23rd. He has been competing on WWE live events, however. He lost 2 single’s matches to Jey Uso this weekend. English is a former NXT tag team champion along with Simon Gotch. He has yet to win a title since debuting on the main roster in 2016. English really is an accomplished stage actor. He has appeared in over 20 productions and graduated from Columbia College Chicago with a degree in acting in 2010.